MDPI Special Issue on the 2017 International Image Sensor Workshop publishes NIT paper "QLog Solar-Cell Mode Photodiode Logarithmic CMOS Pixel Using Charge Compression and Readout" by Yang Ni. "In this paper, we present a new logarithmic pixel design currently under development at New Imaging Technologies SA (NIT). This new logarithmic pixel design uses charge domain logarithmic signal compression and charge-transfer-based signal readout. This structure gives a linear response in low light conditions and logarithmic response in high light conditions. 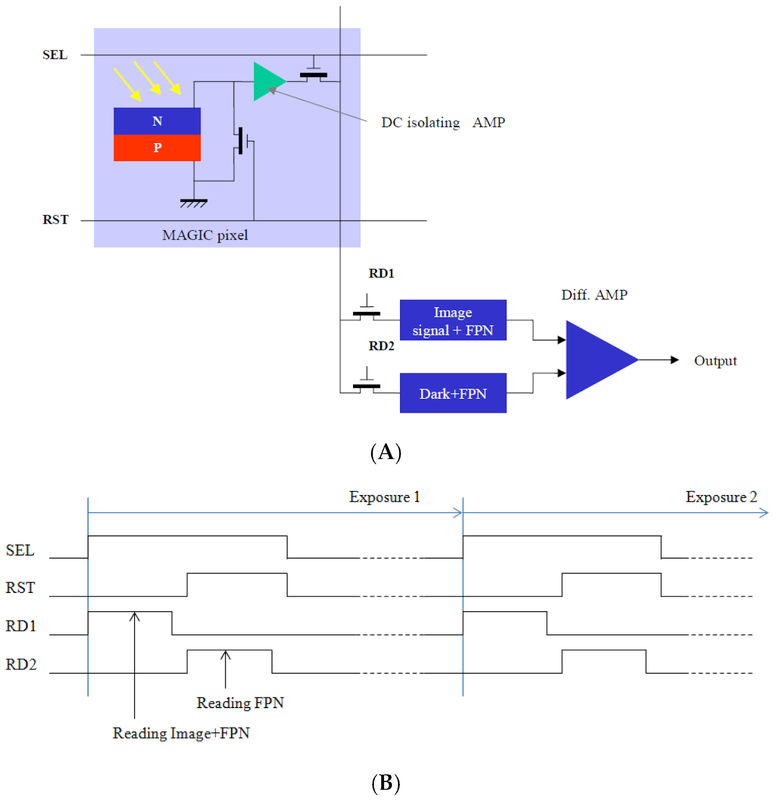 The charge transfer readout efficiently suppresses the reset (KTC) noise by using true correlated double sampling (CDS) in low light conditions. In high light conditions, thanks to charge domain logarithmic compression, it has been demonstrated that 3000 electrons should be enough to cover a 120 dB dynamic range with a mobile phone camera-like signal-to-noise ratio (SNR) over the whole dynamic range. This low electron count permits the use of ultra-small floating diffusion capacitance (sub-fF) without charge overflow. The resulting large conversion gain permits a single photon detection capability with a wide dynamic range without a complex sensor/system design. A first prototype sensor with 320 × 240 pixels has been implemented to validate this charge domain logarithmic pixel concept and modeling. The first experimental results validate the logarithmic charge compression theory and the low readout noise due to the charge-transfer-based readout." "The readout noise was measured at 2.2 LSB, which is 268 µV. Taking into account the source follower gain, the temporal noise on the floating diffusion was estimated at 335 µV. With a floating diffusion node capacitance estimated from design at 4 fF, the noise electron number is 12.3 electrons. The temporal noise in the logarithmic regime was measured at 6 LSB, which represents 34 electrons inside the buried photodiode. From this Johnson noise, the photodiode capacitance can be estimated at 6.2 fF which is quite close to the estimation from the layout."